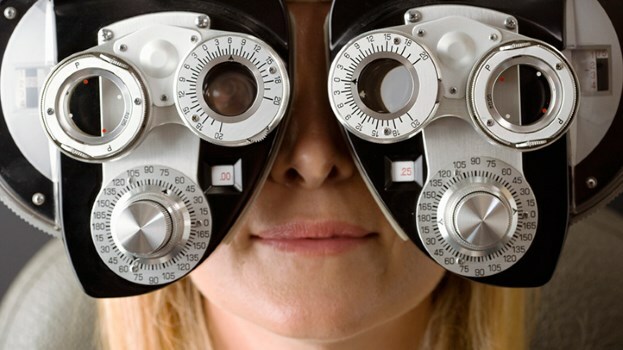 Vision problems, such as blurriness, double vision, or loss of vision, are common early symptoms of MS.
With no single diagnostic test for multiple sclerosis, doctors must rely on a combination of symptoms and test results. No single test can diagnose multiple sclerosis (MS). Instead, your doctor will base a diagnosis on a combination of your health history and clinical findings, says Fred Lublin, MD, director of the Corinne Goldsmith Dickinson Center for Multiple Sclerosis at Mount Sinai Medical Center in New York City. Magnetic resonance imaging (MRI) scans are used to look at the brain and spinal cord to check for lesions that are typical of MS.
Lumbar punctures, or "spinal taps," are done to gather spinal cord fluid to look for cells characteristic of the disease. Evoked potential tests are nerve tests that are done to check the body's electrical pathways to help determine if MS has affected these nerve pathways. But in spite of all the high-tech testing available today, the most accurate and rapid diagnosis often comes from a physician who is paying close attention to the state of your health and the symptoms you're experiencing. New Yorker and career consultant Abby Kohut, 48, suspected she had MS long before she received her diagnosis six years ago, due in part to a “tingling” sensation she felt in her body. Read About an Epilepsy Treatment. The symptom that first brought Kohut to a doctor, back in 2008, was pain in the area of her eye. But it went away after three weeks, so she pretty much ignored it — especially when a neurologist told her there was nothing wrong. When the pain returned in 2009, “It didn’t feel like a regular headache,” she says. Kohut went to see an optometrist, who sent her to an ophthalmologist. But by the time of the appointment, the pain had once again gone away. People who have relapsing-remitting MS, as Kohut does, often find that their symptoms come and go, making it harder for them to describe what’s wrong to their doctors — and harder for their doctors to make the right diagnosis. The ophthalmologist couldn’t find anything wrong with Kohut’s eyes, but suggested she see a neurologist in case it was MS. The neurologist ordered a spinal tap and an MRI, which showed that Kohut had lesions on her brain typical of MS.
Kohut’s diagnosis came about five months after her visit to the optometrist, and it was a relief in a way, she says, because it was better than the malignant brain tumor she’d feared she might have. Los Angeles-based Jillian Escoto’s road to an MS diagnosis in 2008 also started with an eye issue. “I woke up one Saturday morning and everything was real blurry,” she recalls. Lublin says it’s not unusual for people to have some sort of sudden neurological event that sends them to the doctor. A January 2015 study in Springerplus, for instance, found that a long-lasting migraine headache can be the first symptom of MS.
Escoto, who was 23 at the time, told her mother that something was definitely wrong, and she needed to see a doctor. They went to the emergency room, but the doctor there suggested Escoto had a virus and told her to see her family doctor the following Monday. Her family doctor recognized that it wasn’t a virus and sent Escoto to a neurologist. The neurologist ordered diagnostic tests for MS, including an MRI. Nonetheless, the suggestion of MS sent Escoto to the National Multiple Sclerosis Society website, where she read up on the disease. Armed with information, she went to see a second neurologist, one recommended by a friend who had MS. The second neurologist ordered a second MRI, “saw lesions on my brain and spinal cord, and diagnosed my MS,” Escoto says, adding that this neurologist had a newer MRI machine that could have been what made the difference. Escoto started appropriate treatment and is doing well.